Item # 157873 Stash Points: 8,995 (?) This is the number of points you get in The Zumiez Stash for purchasing this item. Stash points are redeemable for exclusive rewards only available to Zumiez Stash members. To redeem your points check out the rewards catalog on thestash.zumiez.com. 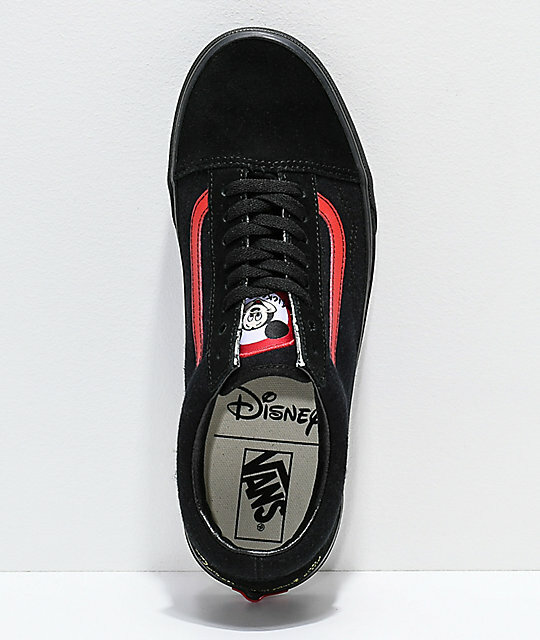 Become an honorary Mouseketeer with the Old Skool Mickey Mouse Club Black Skate Shoes from Disney by Vans. Celebrating the 90th anniversary of one of the most beloved animated characters of all time, Disney and Vans have teamed up to present a full collection of footwear and apparel inspired by the mouse. Since their debut on the 1955 TV series, The Mickey Mouse Club, Mickey ear hats have become a signature souvenir throughout the Disney Parks with many different styles and personalities. 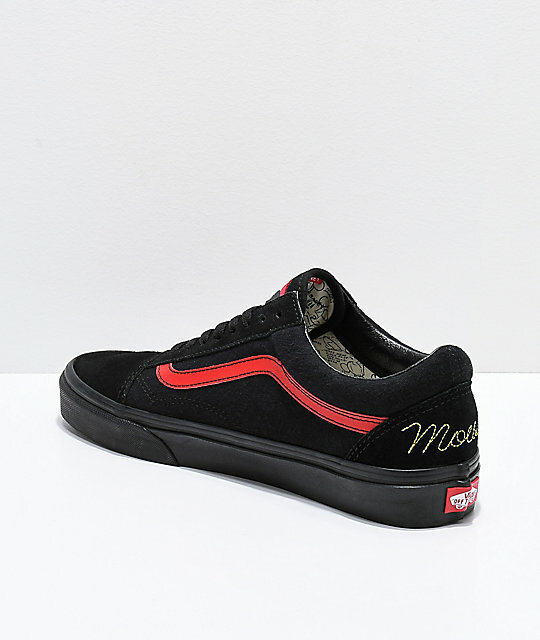 The Mickey Mouse club sneakers fully embody the essence of the classic felt Mickey hat with the black suede and soft textile upper, complete with red leather side stripes. 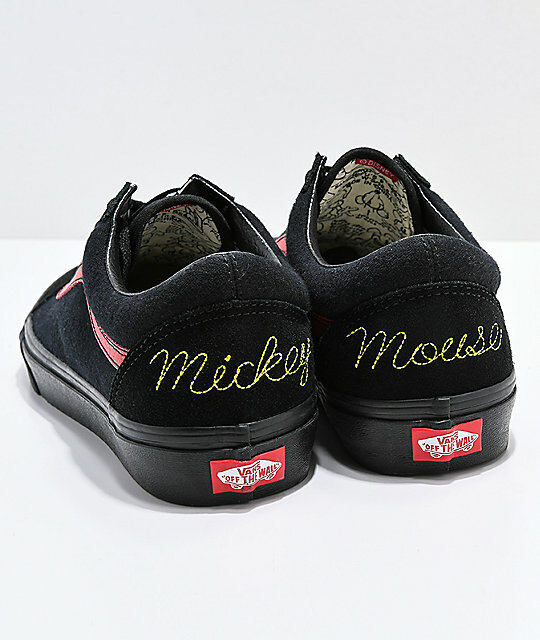 The tongue features a Mickey Mouse Club patch while the left and right heels are embroidered with "Mickey" and "Mouse" in gold lettering. 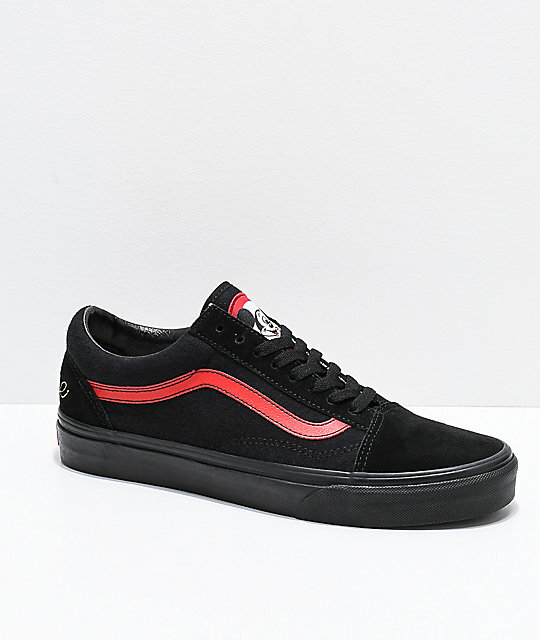 Old Skool Mickey Mouse Club Black Skate Shoes from Disney by Vans. Collaborative design from Disney and Vans. 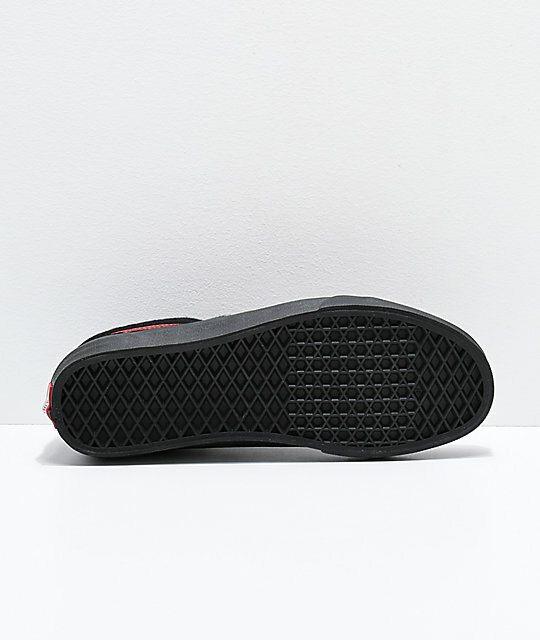 Black suede and soft textile upper. "Mickey" embroidered in gold lettering at the left heel. "Mouse" embroidered in gold lettering at the right heel. Mickey Mouse Club embroidered patch on the tongue. Mickey animation sketch lined interior.